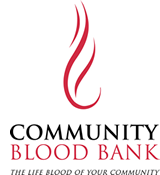 Sioux Falls, SD- Citi and Community Blood Bank will celebrate a milestone 10,000th donation of blood since the bloodmobile began visiting the organization in October of 1991, hosting the community’s very first bloodmobile blood drive with Community Blood Bank. Citi will also hold their 178th blood drive on Thursday, October 19. Citi sponsors six blood drives a year in alliance with the Community Blood Bank. As part of Citi’s vision to be an active community partner, staff members are encouraged to take time to donate if they are medically able. Citi’s blood drive has enabled the company to be ranked in the Top 10 businesses in Sioux Falls which have donated blood for the past 25 years. Individuals can safely donate blood every 56 days. Eligible donors must be at least 17 years old (16 years old with a signed consent form found at cbblifeblood.org), weigh 110 pounds or more and be in good health. It is recommended that a person eat and drink plenty of fluid prior to donating.